Perhaps one of the most exciting services of the year at Church of the Rock is our annual pie auction. My sermon from that weekend airs on television April 25th, 2010. If you miss it you can always watch it on our website from April 26 – May 2. Click HERE to watch. In what can only be described as miraculous, we raise over $100,000 for missions in just a couple of hours. Those who have never been here for the auction have trouble imagining what happens. Pies sell anywhere from $80 to $3500, with the average somewhere around $400-500. People ask, “What kind of pie is worth $3500?” None that I can think of. It’s not really about the pies, it’s about the cause. People pay way too much for a pie as a way to invest in our missions projects in the 10-40 window. This is the area of the globe between 10 degrees north and 40 degrees longitude running through Africa and Asia. 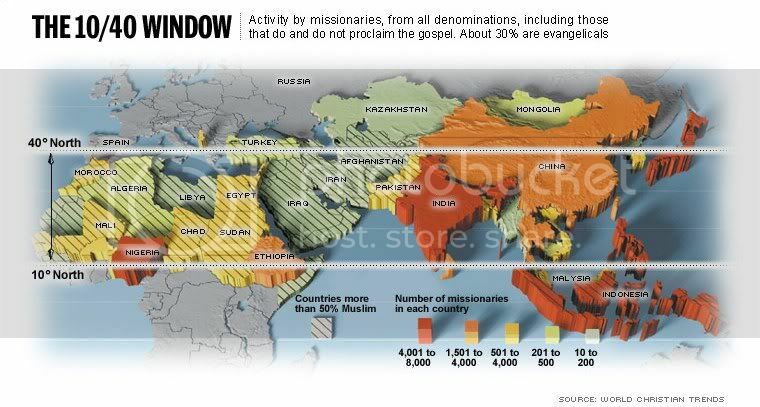 93% of the world’s unreached people live in the 10-40 window. This is the immense population area where there is the fewest Christians, the least number churches and unfortunately also the fewest number of missionaries. We can never accomplish the great commission, “to go into all the world and make disciples” if we do not reach the 10-40 window. As a result of our annual pie auction; we are able to fund an Arabic language christian radio station in Malta that broadcasts into Muslim northern, and another one that does the same into war torn Afghanistan. We support a Canadian missionary in Egypt that is doing amazing work in a country that is 80% Muslim and hostile to the gospel. We wholly fund bible translation projects amongst two totally unreached peoples, one in Nepal and the other in India. 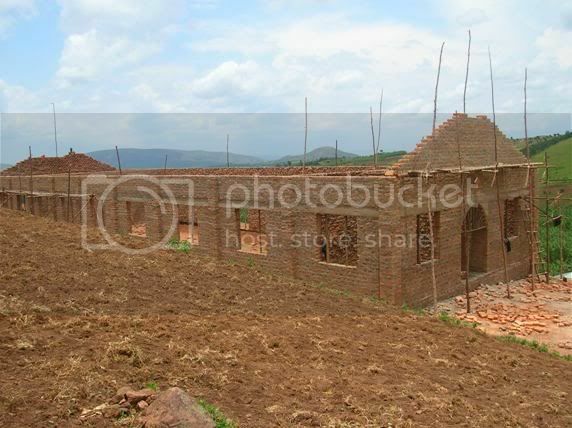 We support a bible and literature project in Pakistan and send teams to Uganda that build churches, wells and power generators. 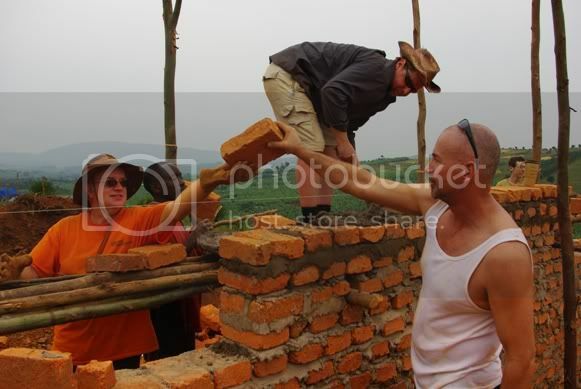 Above is a team from our church who took their summer holiday to build a church in the Ugandan jungle. Below is the finished product. We often leave the locals with the responsibility of putting on the roof. It gives the ownership of the building back over to them on a number of different levels. I have kept my description brief, but these are really some remarkable projects. They are the reason our people go over the top buying pies. Perhaps some of you reading are wondering how you can get involved. It could not be easier. We have a link on our website that lets you donate directly to these projects. Click HERE to donate and choose the box that says 10-40 window. We always make a commitment that 100% of the funds raised go to missions. We never take anything for administration or other costs. I look forward to partnering with you in this incredible opportunity.